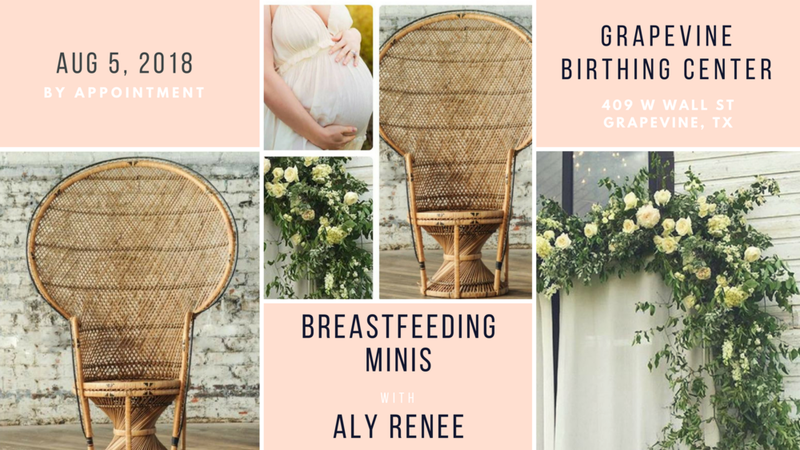 In honor of World Breastfeeding Week, Birth Fort Worth is proud to present Breastfeeding Intimates w/Aly Renee Birth Photography. Listen- Birth Fort Worth supports ALL the ways families choose to feed their babies. This event is to celebrate loving and nurturing your baby in the way that works best for YOU. Sunday Aug. 5 | Grapevine Birthing & Wellness Center | 1:00-5:00p, by appointment only. The shoot will be styled as pictured above- think soft yellows and cream- and you'll have access to the gorgeous gown to borrow, as well. To get more information and schedule your session, contact Aly Renee.